I love all the other dove beauty cream bars. Unfortunately with this, I found I just could not get into it as much as the other types. The exfoliating beads were just not very effective at all. I ended up without exfoliated skin in my case. I would only recommend this if you are looking for a very gentle soft exfoliation from your soap. The overall quality of the product is still very high though, just like the rest of the dove beauty cream bar line. I love the classic Dove Beauty Cream Bar and the Extra Sensitive Beauty Bar so I had high hopes for the Gentle Exfoliating Bar, but it just doesn't do as promised. Much like the other Dove Bar cleansers it smells lovely, lathers very well for a moisturising product and doesn't leave any nasty residue on the skin. It leaves my skin feeling soft and clean but I find that the exfoliating beads aren't effective as the beads are very gentle and few and far between. Buy the classic Dove Beauty Cream Bar and use a loofa or face washer, you'd get more effective exfoliation without a weirdly lumpy bar of soap. I decided to switch from body wash to a bar because I heard it was more eco-friendly (less packaging, less excess running down the drain, etc.). Honestly, I wasn't expecting much from this but it is better than any body wash I've ever used. Moisturizing body washes always left my skin too greasy and exfoliating body washes always left my skin too dry, but this was the perfect combination! I really wish I had tried this sooner! 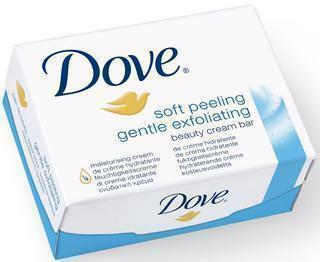 I have been using the regular Dove Beauty Bar for years and while I like this as well, it does not actually exfoliate much - it has very sparse granules in it, but I wouldn't rely on those for a good exfoliation. I still use a bath glove or a loofah if I want to exfoliate in the shower. It has a similar scent to the original beauty bar. Once every now and then I purchase this version just to change it up a little bit. Apart from the tiny granules I do not think that this is different from a regular Dove bar - so it still smells good, cleanses well and does not dry my skin up. great soap and a gentle exfoliator. I have been using the Dove gentle exfoliating beauty cream bar for some time now .I really love this wonderful bar and it really works for me. It is really gentle on my sensitive skin and does not dry my skin. It is combined with 1/4 moisturising cream. It has tiny blue beads to gently exfoliate the dead , dull and lifeless skin and revealing the new skin underneath while moisturising it at the same time. It comes in a 100g bar and has a wonderful smell.  I absolutely love this product and is very easy to use. Use it every time you wash your body. Anyone looking for beautiful skin. the soap is pretty small. lasts my husband only about 5 days at most. the beads in the soap does nothing for us... it's like a bumpy soap that's all. especially for men with hairy bodies, it disappears and does nothing at all. the beads are kind of redundant. otherwise the base formula is good. not overly drying. but still too drying for kids if used daily. still wouldn't use it on the face, especially not on sensitive skin faces. best to keep the soap dry or it'll melt pretty fast. I love all the Dove bar soaps - they are great at cleansing, don't irritate my skin, rinse off well (ie, no leftover soapy film on my skin) and are very reasonably priced. This particular variety is the only one I don't let my kids use. It's a mild exfoliant, and my hubby and I use it, but I prefer the kids to use the non-exfoliating types. This one you can see tiny beads in the bar, and just rubbing it onto your skin, you can feel the exfoliation. But it's mild enough for daily use. I find this variety hard to come by in the stores, and I've never seen it in the 4 pack, only the 2 pack. I have used Dove soaps for 5+ years. I love them! In particular, this one is great due to the exfoliating beads which help buff skin while ensuring I keep moisturised. I love this soup, even on the most sensitive skip it is so gentle. I love the feel of the Exfoliating beads and I love how it makes my skin feel afterwards. They soap lasts a long time as well which is a bonus. This is my favourite soap to use because it's mositurising and it is a gentle exfoliater as well! I use this mainly on my legs and when i shave, and my stomach is really sensitve so i use something different there. Although this doesn't irritate my sensitve skin i still prefer to avoid my stomach. My favourite soap of all times! This is my most most most favourite soap to use. I love it a lot and there is no other soap I use. If I don't have this soap left at home, I don't use a soap as this is the best soap I could ever use and it smells fantastic. I love that it has exfoliating balls in the soap cause it makes you feel even cleaner and fresher then using any other soap. Definitely a winner in the soap section. Wouldn't use any other soap product for my body. Dove Soft Peeling Gentle Exfoliating Beauty Cream Bar, 100g comes boxed. The bar is white, oval and curved with the Dove logo indented both sides. The exfoliating bar is formulated with 1/4 moisturising cream and small baby blue, soft granules throughout. The bar has a lovely soft powder fragrance. I use the bar as a body wash. It has a light creamy, milky lather. I am hard pressed to feel the exfoliating granules as I wash, but I know they are there because I can see and feel them with my finger. The milky lather is smooth and soft on skin, the formula gentle. After a thorough scrub rinse with my shower brush, my skin is well cleansed without feeling or looking dry. As with all the Dove Beauty Cream Bars I have used, the exfoliating bar leaves my skin feeling smooth, soft and most importantly clean. I do like the beauty cream bar, it is a very gentle skin exfoliator, body cleansing bar. I love day-to-day exfoliators. I tend to prefer creams but this is a great exfoliating bar to travel with! If I'm on a long trip it saves having to take a body wash and an exfoliator. I bought this beauty bar just because the box described it so beautifully and since it was a Dove product, I wanted to try it. It didnt disappoint because I love the little blue exfoliating beads. They are the prettiest little blue beads and they do work. Its not a miracle bar, but I enjoyed using it. I think the beads are a bit too gentle for me because I am not sure if they really did any exfoliating, but the bar smells fantastic and is lovely to hold. As I find most Dove products to be a bit more expensive, but then they are supposed to give you more quality, I dont mind paying for it. Its a nice exfoliating bar to use once in a while. I still find that it disappears too quickly in the shower for me, so I dont use it all the time. I am a huge fan of the original Dove Beauty Cream Bar, and just grabbed this one when it was on sale in order to see what it was like. It's exactly the same as the original Dove, but has small exfoliating particles which, if you ask me, are about as much use as the proverbial ashtray on a motorbike. I'll be sticking to the original from now on and looking elsewhere if I require exfoliation. This has the fantastic beauty bar formula but if you're looking for a good exfoliator, this isn't it. There aren't many beads and they're super gentle, so much so that they do nothing for my skin. As I said though, it still works well as a classic beauty bar. This soap is brilliant. I bought it last week and really starting to notice a change in how smooth and refined my skin is. I use it everyday followed with body moisturiser and I think it is going to have me be the envy of all my friends this summer. Smooth, clean skin- what more could you ask for?! Use everyday followed by a slathering of rich body moisturiser! I'm on the fence about this product, the exfoliating beads in the soap didn't feel very gentle on my skin at all! Or maybe I just didn't enjoy the "sensation" from it. The soap itself is good, like the normal beauty bar. Just like the Dove's ingenious beauty bar but heaps better. This is perfection and leaves skin wonderful. I used to have terrible dry skin and after using this for 2 weeks my skin was perfect (i began to see change within a week) It is a gentle but very effective exfoliator and moisturises at the same time, it is also very creamy and really cleanses! Just lovely!